Greys Rig Wallet. 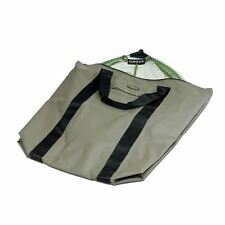 ::: Procast angling :: Carries 32 individual rig envelopes, plus two zipped pockets for added storage. Fully opens out for ease of access and instant rig identification. Ideal for general shore and boat fishing, also competition angling. 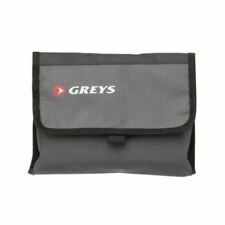 Greys Prowla Sling Bag. PART NUMBER: 1328038. The perfect bag for the roving lure angler; it can be carried on your back and swung around the front when access is needed. Two useful accessory pockets built into the shoulder strap. 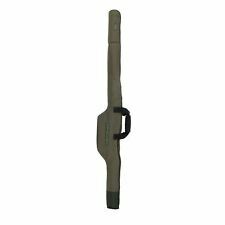 Greys Prodigy Rod Sleeve - 2pc Rod / Carp Fishing bagagli. Prodigio Rod Sleeve. Tasca interna custodia bobina a bobina di ricambio. Gestito da:anglerscorner_uk. Canne da 11-12ft - 2pce. SE TI PIACE LA MIA ROBA MI AGGIUNGI AL TUOelenco dei preferiti! Eine Fliegenbox sollte leicht sein, einen schnellen Zugriff erlauben, die Fliegen sicher aufbewahren und für gute Übersicht sorgen. All diese Anforderungen erfüllt unsere GS Box perfekt. Fliegen verschiedenster Hakengrößen finden im geschlitzten Mikroschaum sicheren Halt. SCATOLA RIG PRODIGIO AVANZATA. MPN 1326526. Marche popolari. Link Utili. SE TI PIACE LA MIA ROBA MI AGGIUNGI AL TUOelenco dei preferiti! Importa Internazionale oneri / Doveri Immagini per il solo scopo illustrativo. Prodigy Wet Net Bag. 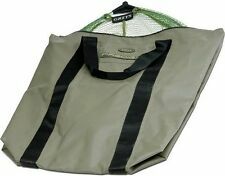 This roomy waterproof net bag has welded seams and a rubber seal zip top. It’s made from robust PVC material with a webbing carry handle and side supports. Designed to fit net pockets in larger carryalls, or can be used independently to transport damp nets – to avoid getting your car wet. Modelle erweitert. Beide neuen Boxen bestehen aus leichtem, doch sehr Stabilem ABS Kunststoffmaterial und haben Aussenmaße von 19,5x11x4,5 cm. Die handlichen. GS Fliegenboxen sind auf Grund ihres herausragendem Preis/ Leistungsverhältnisses. Prodigy On-The-Move Bag is perfect for when you need to travel light. This bag also boasts top quality Velcro locking neoprene carry handles, an adjustable padded shoulder strap and a reinforced, water resistant base. Fly box with water resistant seal. A water resistant seal gives peace of mind if you need to deep wade or get caught out in a heavy rain storm. GS Water Resistant Fly Box. - Water resistant seal. - Strong and lightweight construction. The inner PVC bag folds down and velcro fastens forming the first barrier. Outer heavy duty rip stop bag. Inner heavy duty PVC bag. GREYS APOLLO MK1 FISHING ROD DECAL. Ideal for rod restoration. Fishing rod not included. Prodigy Rod Sleeve. Images for illustration purposes only. Spare spool pocket inside reel pouch. Velcro locking carry handles. Reinforced base. 12-13ft rods - 3pce. Large bowl has zip lid and carry handle - small sizes stack inside. Images for illustration purposes only. Square shaped for optimum use of table space. Taped sealed waterproof linings and reinforced bases. Prowla grigi Unhooking Mat. Questo tappeto lungo e stretto è perfetto per predatori quali lucci e sandre. La Base è realizzata in schiuma di 30mm, con un esterno Ridge imballato con Polyballs. Perfetto per banca o pesca dalla barca. Greys Prodigy Advanced Rig Board. Running Shoes Shirts Shorts Jackets Tights Running Accessories Football. Skiing & Snowboarding Squash Table Tennis. Chest: 34 36 38 / 40 42 / 44 46 / 48 50 / 52 54 / 56 58 / 60. Greys Prodigy Rod Bands / carpa pesca. Prodigio Rod Bands. MPN 1326296. Marche popolari. Link Utili. SE TI PIACE LA MIA ROBA MI AGGIUNGI AL TUOelenco dei preferiti! Importa Internazionale oneri / Doveri. Porta 32 buste individuali rig, oltre a due tasche con zip per lo stoccaggio aggiunto. Ideale per generale Riva e pesca dalla barca, anche concorrenza pesca. ::: Procast pesca:: Procastangling dispone 50 anni di oltre di esperienza ed è gestito da una famiglia di pescatori tornare generazioni. 2 long sections and one short, all separated and closed with felt crow. Greys Prowla Unhooking Mat. PART NUMBER: 1326086. This Long, Narrow Mat Is Perfect For Predators Such As Pike And Zander. Perfect For Bank Or Boat Fishing. Large enough for big predators. Neoprene carry handle. Greys Prodigy Rucksack. Condition is Used. Dispatched with eBay delivery – Shutl 2-3 days. Greys Prowla Rucksack - Large / Fishing Luggage. Prowla Rucksack. The shelves keep the rucksack in shape when boxes are removed. Comfortable carry system with extra long carry belt. Length 44cm. Weight 3200g. The fly box is the best place to keep all of your flies. 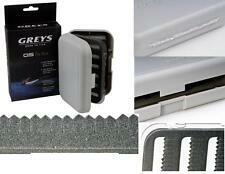 Made from strong and light ABS plastic, and is small enough to fit into your fly vest of pocket. strong and light ABS plastic this fly box wont weigh you down. Mustad Cool Bag Grey / Blue Carryall Lugage Outdoors Sea Fishing S4004. Product Information. Add to favourites. 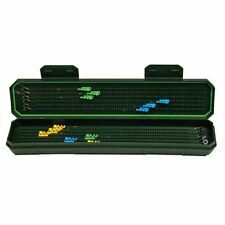 The modular Klip-Lok Tackle Base is a brilliantly designed organiser box. The lower level has two unique side drawers, which allow access when the lid is closed - particularly useful while it’s being used for rig making purposes. Images for illustration purposes only. Made in durable PVC leather. Bulk storage area for smaller hand tools. A tough single reel case that will hold and protect you reels. Padded for optimal protection and zipped for easy access. Competitive prices checked daily for the best value. Competitive Prices Checked Regulary. Moulded Wychwood zip pullers. Gear Trap Short Haul. It's comfortable, portable and has enough space to get in all those fishing essentials in. Removable EVA ripple foam fly patch. Black anodised, hook and lock zingers.